Thirsty? 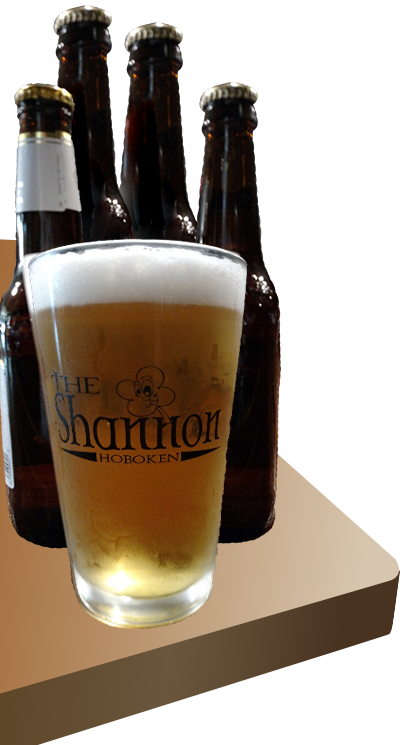 The Shannon Hoboken has what you need to quench that thirst and help you kick the weekend into high-gear. Sip on a cocktail from out cocktail menu and relax at the front bar. Or venture to the back room for a dart match, game of beer pong, school your friends in foosball or dance the night away to the music of our DJ. Get here early for Power Hours and you could be your own DJ! We have a separate Touch Tunes juke box that you can control in the back room!